Cooking does not have to be a lot of work. There are a lot of appliances out there to make life less difficult for modern day cooks. So, if you are responsible for preparing the meals in your home, the cooking appliances listed in this article are great for your kitchen. If yours is just to do the eating, you can also show some love to the cook of the house with these cooking appliances. 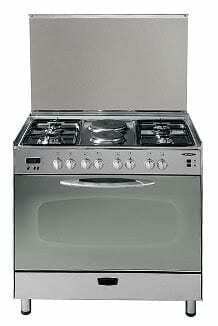 A Gas cooker and/or an Electric cooker should be the main cooking appliance(s) in your kitchen. While both can be bought separately, there are benefits to buying gas/electric cooker combo. Gas cookers are very fast and can handle serious cooking. Cooking with a gas cooker is also more economical and less stressful compared to kerosene. Electric cookers are probably the cheapest method of cooking and offer smoke and flame free cooking. Buying a gas/electric cooker combo will offer you the best of both worlds. If you must choose one, I recommend you buy the gas cooker. This is because they are more reliable than electric cookers in Nigeria due to the epileptic power situation in the country. If you must buy an electric cooker separately, make sure you have another backup cooking appliance like a kerosene stove, except you do not have problems going to bed on an empty. To be in full control of your cooking, a gas cooker is essential for your kitchen. Gas cookers will also offer an oven for baking and a grill for roasting/smoking/grilling meat, fish, corn, etc. You will require a gas cylinder, which you should place in a secure location and ensure there is no leakage. Some gas cookers come with a built-in compartment for your gas cylinder. The ideal cooker for your kitchen is a cooker with four gas burners with gas oven and grill and two electric hot plates (one large and one small). However, depending on your budget and/or the size of your family, you can buy one with fewer gas burners and one/two electric plate(s). The gas and electric cookers should be the main cooking appliances in your kitchen, but a microwave oven is better and faster when defrosting and warming food. So, after cooking the food with a gas or electric cooker, you should call on the microwave oven when it is time to warm the food before meals. Microwave ovens require electricity. However, if you buy one with low power, you may be able to operate it with your power generator. 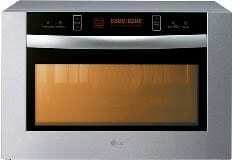 Microwave ovens come with different features and settings. They come with different levels of adjustable power levels targeted at different types of cooking. These two kitchen appliances are used to make bread more delicious and enjoyable. 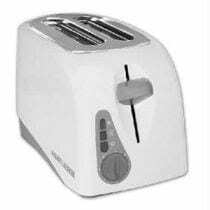 A bread toaster is an electric appliance that uses heat to brown bread, making it firmer with little or no crumbs. You place the bread slice in a slot, set how brown you want it and when done it will pop-up. Sandwich makers and used for toasting bread sandwich. 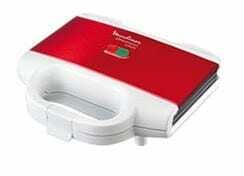 You sandwich a filling of your choice between two slices of bread and place in a sandwich maker, enter any required setting and the appliance will do the rest. These two appliance can save you time when preparing breakfast and lunch for your kids or even the entire family. Rice is a fairly common food in Nigeria. I bet you take it every week. 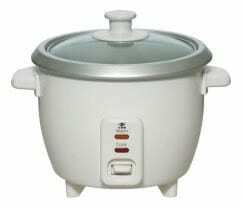 A rice cooker is a cooker dedicated to cooking rice. It is just like a pot, but with a built-in electric heater inside for heating the rice/water mixture and a thermostat for sensing when the rice is done to stop cooking. Some rice cookers come with useful features like the keep warm feature, which can keep your rice warm for several hours. Most rice cookers with this feature will automatically switch to it when the rice is done. Rice cookers come in different capacities, so buy one that can handle your usual serving. 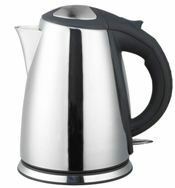 Electric Kettles are used for boiling water, which is a fairly common ritual in most homes. Boiling your water in your electric kettle frees up your other cooking appliances for actual cooking and can also save time during cooking. They are also very fast when it comes to boiling water. However, it is important to note that most electric kettles consume above average power. So, make sure that the power point you connect your electric kettle to can handle the current required to deliver its power requirement. Otherwise, you will notice charring on the point in no time. That said electric kettles are very useful cooking appliances in the home. 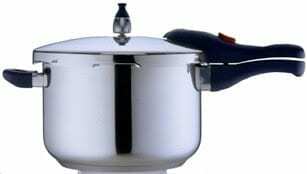 Pressure Cookers are air tight pots that allow for food to be cooked at higher pressure than atmospheric pressure. This allows for the food to be cooked at higher temperature than can be attained with an ordinary pot, leading to much faster cooking time. Your normal pots cannot cook above the 100oC, which is the boiling point of water. Because pressure cookers are sealed, they can cook at a higher temperature with superheated water. They are also said to retain more nutrient in food. Most pressure cookers will require a heat source like gas/electric cooker. However, there are now electric powered pressure cookers, but they are not common. This list has shown some of the most important cooking appliances in the kitchen. I still maintain that the gas cooker is the most reliable cooking appliance for your kitchen. Most of the other kitchen appliances require electricity, which you cannot count on in Nigeria. So, a gas cooker is a must. Other cookers should be to complement the gas cooker.